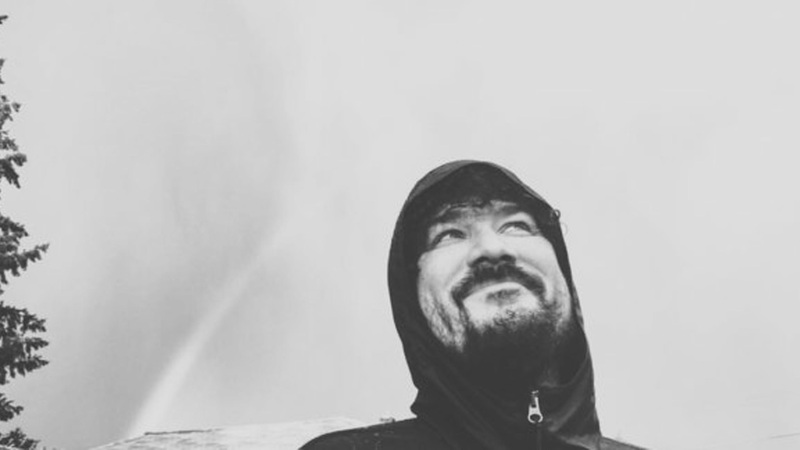 We are heartbroken today to have lost our dear friend, collaborator and artist Richard Swift. He passed in the early hours of this morning. From the moment he first came into our lives in the fall of 2004, it was clear he was a rarefied soul. It was Thanksgiving week in the Midwest. We were in Indianapolis with Jens Lekman, excited to be hosting our Swedish friend on his first trip to the States. At the tail end of a string of Midwest tour dates we had a pit stop at Luna Music where Jens did an in-store performance. As we were browsing the CD racks there was one that stood out amongst the rest; it was a double-wide fatty 2xCD with a black & white picture of a man that had the mop of Dylan and the look of Cohen. In hand-laid typeface it said “The Novelist by Richard Swift.” It was perfect. I bought it. Ben, Jens & I listened to it front to back both discs on the trip back to Bloomington. It was made by a lover of records, effortlessly meandering through the history of recorded music, fusing sounds from so many eras, his beautiful words ceding pole position to the beautiful sounds, textures and feelings of a man who – we’d soon learn – was steeped deeply in them. It was magic. His wit, irreverence, talent, and most of all his understanding of true beauty was immeasurable. That loss will leave a gaping hole in our world from this moment on. We are thankful he burned as bright as he did, and was as productive as he was, during his time with us. Swift belongs in the canon of urgent, raw American art alongside his heroes like Walt Whitman, Bo Diddley, Captain Beefheart and Kerouac. Through his music, illustrations, photography and poetry, he created a complex, caustic and, more often than not, devastatingly funny personal language and mythology. As a visionary producer, he turned his Cottage Grove, Ore. studio, National Freedom, into a harbor of artistic liberation for all measure of musician. Secretly Group family such Damien Jurado, Foxygen, Lonnie Holley, Kevin Morby, Alex Cameron, Sharon Van Etten, Gardens & Villa, Cayucas, and Trevor Sensor have all created landmark recordings under the talents of Swift. To be allowed entry into this singular Swift universe, to become a part of Swift’s tapestry, his poem, is as close to real magic as you can get. Looking back now, I see that we found a friend in the bins that day in Indianapolis. His family, friends, music community and everyone who loved him are in our thoughts. Fingerpaint with the blackest ink you can get your mitts into today. Those inclined can link, share or donate a memorial gift here.